An engagement ring is more than just an accessory: it’s an enduring symbol of a committed relationship with value far beyond its visual appeal. At Szul, you can choose from a wide selection of pre-set engagement rings, each designed by jewelry experts for the highest quality in the field. You can also create your own engagement rings to express your creativity and embody the unique, individual spirit of your romance on our online boutique. To create your own diamond engagement rings, you can choose one of two ways to start the design process. 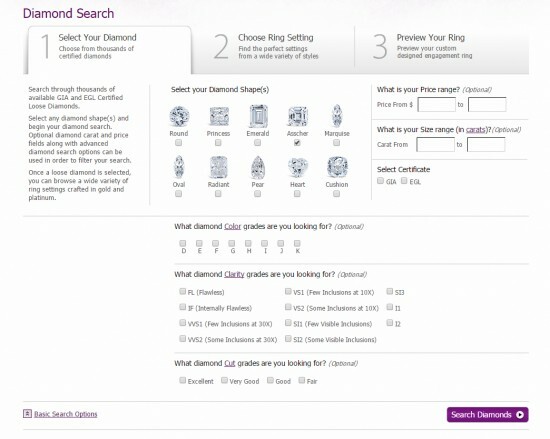 You can begin by selecting a diamond; you can choose from thousands of GIA and EGL certified diamonds using our powerful diamond search tool. The diamond is the focal point of most engagement jewelry; starting with the stone ensures that this central design element matches you, as the designer, and your significant other’s dream engagement ring. You can also start with the engagement ring setting to get a better sense of what the ring will look like overall once the design is complete. 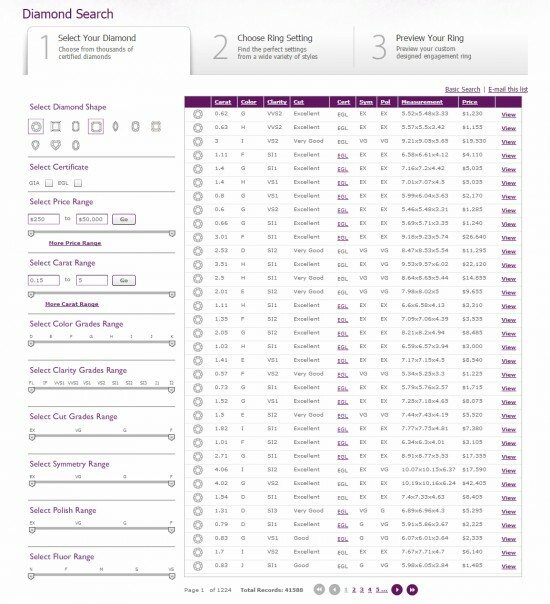 After choosing a stone shape and a specific stone, this is what your page will look like. 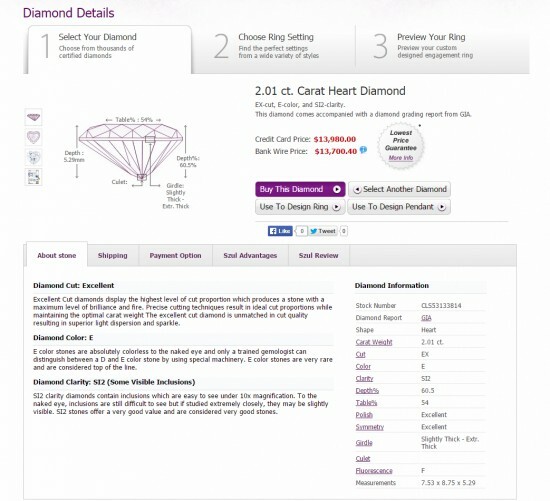 This customized ring is a 2.01 carat Heart Diamond ring. Below you can find additional information about the particular stone, such as the cut, color and clarity, etc. The next step in the process is to choose the ring setting. We offer many settings including timeless solitaires as well as rings with side stones and matching band bridal sets. All three options allow for creativity and originality, so you can enjoy a ring as unique as your relationship. 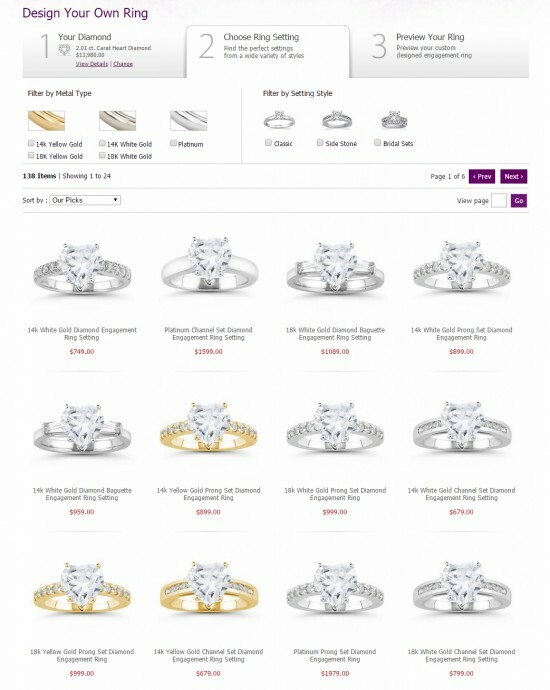 Find out more about our custom engagement ring options at http://www.szul.com/design-your-own-engagement-ring. This entry was posted in Blog Posts and tagged Bridal, Couple, Create your own engagement ring, Customized, Diamond, Diamonds, engagement, Engagement ring, Fashion, Fine jewelry, Gorgeous, Jewelry, Love, Luxury, Marriage, Personalized, Pretty, Proposal, Rings, Wedding, Wedding ring. Bookmark the permalink.